While waiting for our turn to enter into Starbucks Reserve Roastery Tokyo, Leo recommended the rest of us to 餃子の福包, which was near the Starbucks, and we had a quick lunch over there! 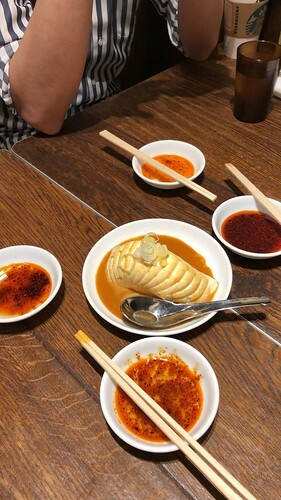 We ordered a 20 pcs gyoza plate, with 2 bowls of minced meat (pork) with pickled vegetable rice (Sushan says it is bar chor peng), shredded carrots with a type of sauce drizzled on it, and a plate of tofu with tan tan sauce (担担). It was definitely more than enough for the 4 of us as we are heading to Starbucks for 2nd round. 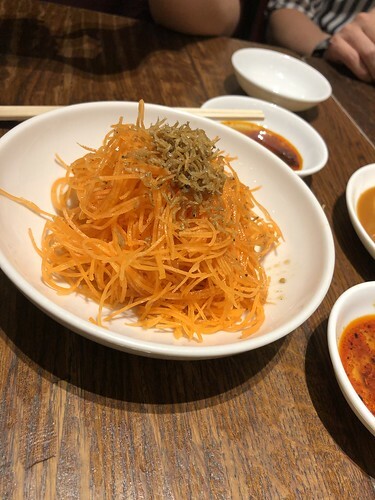 Shredded carrots where we decided to stir it the yusheng way! I’m sorry that I didn’t have image for the rice. Was so hungry and engaged in the conversation that I’ve gotten to take. 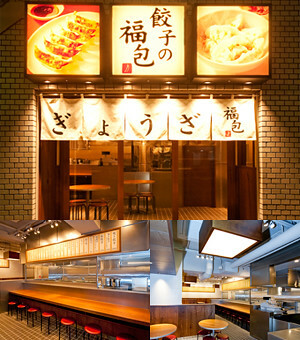 Price wise, I do remember that 20 pieces of gyoza is at 870 yen (). 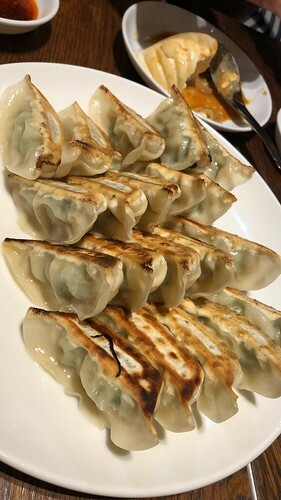 There are other more gyoza to try, but I would definitely the 20 piece gyoza or more if you’re going in big groups! 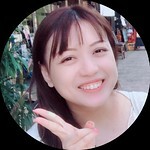 There are quite a few outlets in Tokyo, and the one I went to is at Nakameguro. The ambience at Nakameguro’s outlet is pretty.